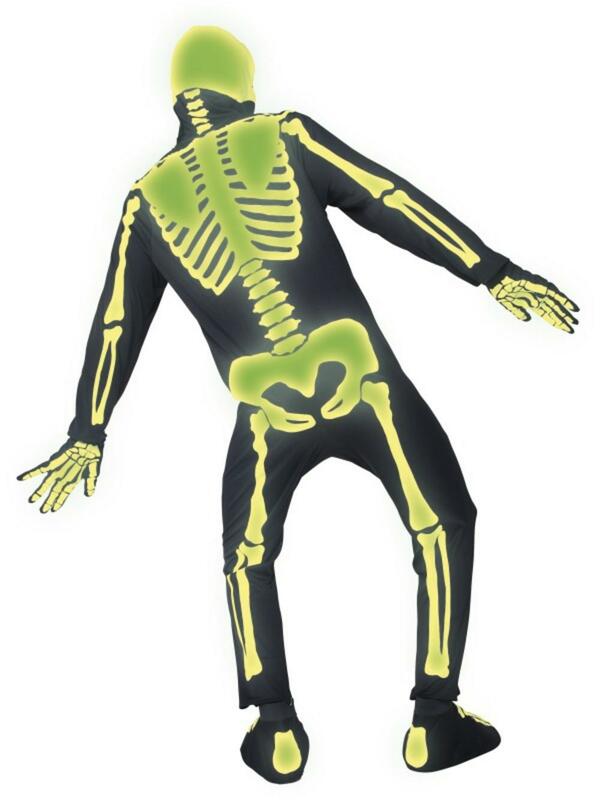 This unique fancy dress costume is like no other, and when the lights go out the costume just gets better and better thanks to it being made from material that glows in the dark. 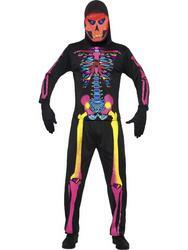 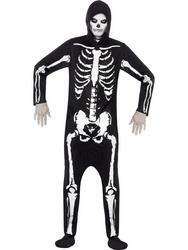 This awesome costume comprises of a black jumpsuit with printed skeleton detailing matching boot toppers and gloves, and an attached hood with printed skull face. 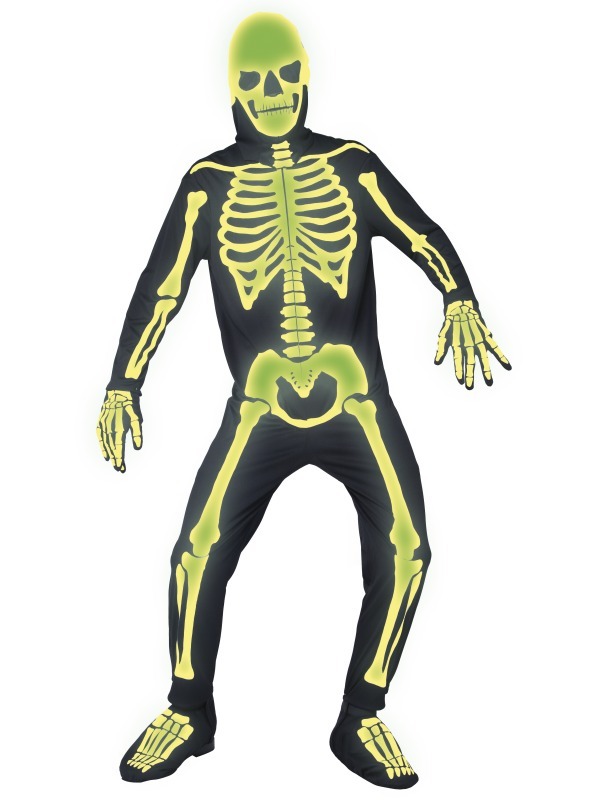 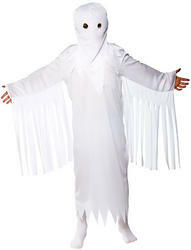 Perfect for scaring the lights out of your friends at any fancy dress party! 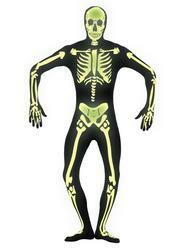 All made from a glow and the dark material that glows eerily when the lights are turned off.